Daniel explains why his company builds campaigns around a single character and shares the process for creating a successful marketing video that works across various platforms. Daniel’s entry into video actually starts with his brothers, Jeffrey and Neil. In 2009, Jeffrey was studying at a university. Dr. Bob Wagstaff, the guy who invented the Orabrush, visited Jeffrey’s class for some help because he was struggling to sell his product and get it into stores. Dr. Bob liked what Jeffrey had to say during class and asked him to help sell the Orabrush. Jeffrey ended up making a video for Orabrush called Bad Breath Test – How to Tell When Your Breath Stinks. Essentially, the video shows a guy scraping a spoon on his tongue and smelling it to see if he has bad breath. This was right around the same time that YouTube introduced their advertising platform and the video was very successful. Neil, who was a programmer, began building out what we now call a funnel with a landing page and a checkout process. The video was running up millions of views and so many people were calling their local Walgreens and CVS stores asking for Orabrush that the product found distribution all over the United States and then into international markets. The video became a poster child for YouTube success and the brothers were very much riding that wave when they brought Daniel in to help them with branding and writing. Then, Harmon Brothers did the Poo-Pourri campaign, which led to Squatty Potty wanting a similar campaign for their brand. When the brothers pitched a pooping unicorn with ice cream, there was some resistance from the stakeholders but after 3 months, they were on board with the pitch. 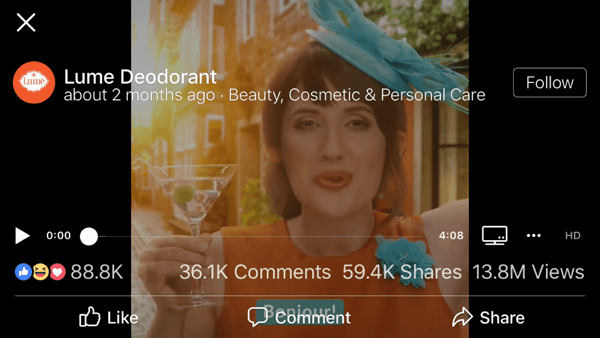 The Squatty Potty video launched on both YouTube and Facebook, and within a week had over 25 million views. Squatty Potty started running their factories 24/7 to keep up with the demand because sales in Bed, Bath & Beyond jumped approximately 400% and sales from the company’s own website rose 600%. One thing led to another and Harmon Brothers ended up doing video ads for Purple, FiberFix, Chatbooks, Camp Chef, BedJet, and Lume. Listen to the show to learn how Harmon Brothers became an agency. While the cost to create video has dropped dramatically in the last 10 years thanks to the technology revolution we’re in, Daniel thinks there’s still a little bit of prestige carryover from the old media days when video was almost an untouchable medium for most businesses. More importantly, Daniel believes video is a great storytelling medium. Partially, he says, because it engages more than one sense at a time. It’s not just what you hear but what you see. When those two components are grounded in a relatable and emotionally charged story, the video comes alive. When I suggest that another aspect of online video’s power lies in how easy it is for people to access, watch, and share thanks to social media and mobile devices, Daniel agrees. Harmon Brothers often compares the results that their online video campaigns drive to Super Bowl–type results, but without the massive ad spend. He estimates they would have had to spend tens of millions of dollars to deliver the same results for Squatty Potty without online video. A lot of that success, he says, is due to social media sharing, which is a natural extension of what people already do in real life. Listen to the show to hear more of Daniel’s thoughts on social media and social sharing. The starting point for any Harmon Brothers campaign is always the product or service; it has to be something the team members believe in and are passionate about. 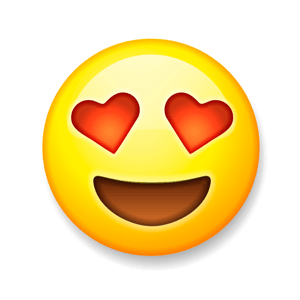 When the team is passionate about a product or service, they put their hearts and souls into the video and people feel that in their work. Then, everyone goes through their own customer journey. The entire team experiences the product for themselves, which reveals unique insights that make it easier for each person to think like a customer interested in the product. Next comes the concept. Daniel ensures the writing team represents the customer base and includes a diverse perspective. Because one of their primary weapons of choice is comedy, he often involves several funny people (some of whom are comedic copywriters) in this part of the process. The goal is for each writer to come up with a distinct concept that addresses the problem the product solves; each person writes independently so they don’t cross-pollute each other’s ideas. To test, polish, and refine their scripts before they pitch to clients, the writers go through an iterative process that involves reading their script to several people. They may even screen it before a creative director before they bring it to the client. Finally, the team sits down with the client and each writer presents their concept to help find the one that puts the brand’s best foot forward for a sale. Once a single concept is chosen, egos are checked at the door. In an exercise that Harmon Brothers calls “Frankensteining,” the team works to integrate the best portions from all of the scripts into a single approach. There’s occasionally a concept that’s so off the wall, there’s nothing that will integrate with other concepts. Most of the time, though, sales copy, individual jokes, and small conceptual or demonstration moments from all of the writers can be used. Everybody collaborates on the final piece, which is presented to multiple audiences, with the understanding that no joke is left in the script unless it makes people laugh. If at any time, the team feels a customer demographic was underrepresented in the creation process, they make a point to involve that demographic further. They continue to write and read and watch for reactions until they have something really great. Listen to the show to hear more about how and why the writers pitch their own scripts. Daniel says there are two polar opposites of advertising. On the one side there are traditional branding campaigns such as Nike, Red Bull, VW, Apple, and so on. They don’t deliver a hard sell and they want you to feel something positive about their brand. Daniel, though, feels these campaigns can run the risk of being interchangeable. To visualize this, Nike’s ads are beautiful. A scene of someone running down perfectly lit streets at night or football practice in a field can feel really gritty and pump you up with awesome music. At the end of the ad, however, one could easily substitute a Reebok, Under Armour, or Adidas logo for the Nike logo. On the other side are infomercials that deliver a hard sell. These ads explain the problem you face, present the solution, and tell you to buy now and you’ll get all this… The problem is that people often feel turned off or disgusted with the aggressive tactics of infomercials. To illustrate, odds are that anyone who sees a Squatty Potty in a store will remember that a prince and a unicorn pooping ice cream made them laugh. Other companies have used the same approach successfully; Geico has the gecko and a caveman, and Allstate has Mayhem. A similar tack has been taken by athletic brands that align themselves with notable athletes; Under Armour and Stephen Curry, for example. The takeaway is that when you’ve got a distinct character, it’s much harder for another brand to run around and copy what you’ve done. A Harmon Brothers video typically ranges anywhere from 2-5 minutes. At a very high level, the videos follow a simple structure. First, they start with an attention-grabbing hook that will stop people (think bored customers) as they scroll through the social feed, and give them a reason to pay attention. The hook is often humorous but can just as easily be something that’s really relatable. Next, they address the problem people deal with that the product or service is going to solve in a very real way. They really want people to feel the pain of the problem. In the case of Squatty Potty, they addressed hemorrhoids and constipation. For Purple, they presented people dealing with beds that were too hard or too soft and not providing the right support. Then they show how the product solves the pain of the problem. If you use a Squatty Potty, it’s going to make you squat so you’ll have healthier bowel movements. A Purple mattress both cushions your pressure points in softness and provides stable back support. The whole point of a long-form sales video is to take a customer from zero to sold in 2-3 minutes so they resolve any doubts people have around the purchase. If the product has a really powerful claim backed by scientific evidence—such as it will make you 45% less sleepy during the day—they lean into that and make it a big part of the story. Finally, they call people to action. Daniel knows a lot of people feel weird asking others to buy something, but he counters, “At the end of the day… What’s advertising for if it’s not to sell stuff, right?” Ask for the sale, the website visit, the email signup, the purchase at Walgreens, the Facebook page follow, a donation; whatever you’re after, ask for it. 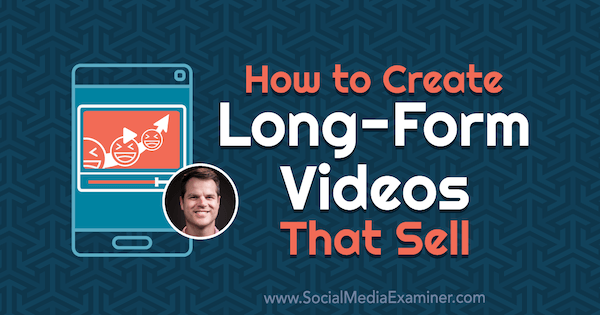 After a long-form video has been successfully produced, it can be uploaded to a landing page or to YouTube and other platforms that work for long-form video. Then, working from the long-form footage, they isolate 15-, 30-, or 60-second clips that focus on a specific feature or claim in a powerful way. These short-form video clips can then be used for prospecting and retargeting campaigns, and Daniel has found they sometimes work better for reaching new customers than the long-form video. Listen to the show to hear Daniel and me discuss how and why the purchase path for high-dollar products affects the end goal of a video. Airstory is a browser-based clipping tool for intuitively creating content. It allows you to highlight, then drag and drop whatever content you want to use from one source right into your Google Docs. It also works with Office 365, HemingwayApp, Dropbox Paper, and Hermit. Similar to Evernote, Airstory helps you save content you need for the moment you need it, without having to take down the actual link. 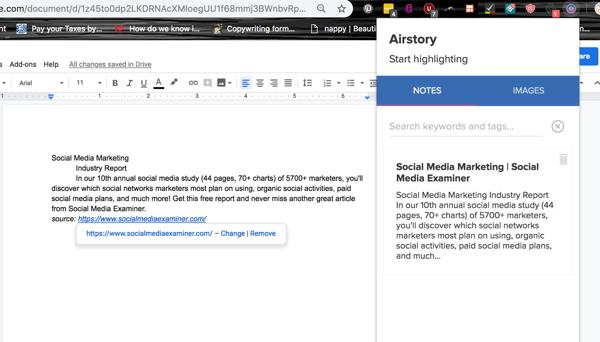 Originally, Airstory was an all-in-one content writing tool, but after studying how their customers really used the tool, they’ve redesigned it to work as the “clipping” tool we see today. Content marketers who work with lots of different content for articles may find this one essential. 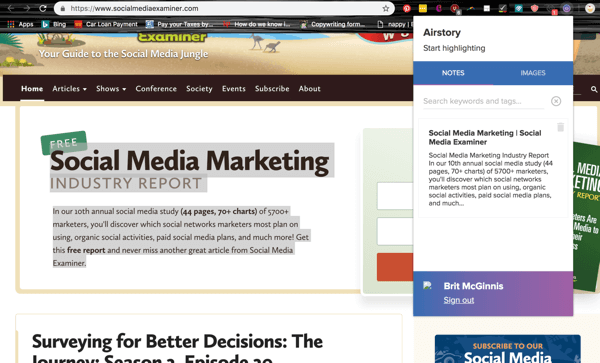 Airstory is free to install and is compatible with Chrome and Firefox. Listen to the show to learn more and let us know how Airstory works for you. Visit the Harmon Brothers website. Watch the Harmon Brothers ads for Squatty Potty, Orabrush, Poo-Pourri, Purple Mattress, Chatbooks, Camp Chef, Fiber Fix, Bed Jet, and Lume. Read From Poop to Gold: The Marketing Magic of Harmon Brothers. Enroll in the next session of Harmon Brothers University. Explore Airstory for content creation. What are your thoughts about marketing with long-form video? Have you had success selling with humor? Let us know in the comments!